These adorable wooden footballs are perfect for indoor or outdoor use. They come unfinished so that you can spray paint/paint it any color you would like. 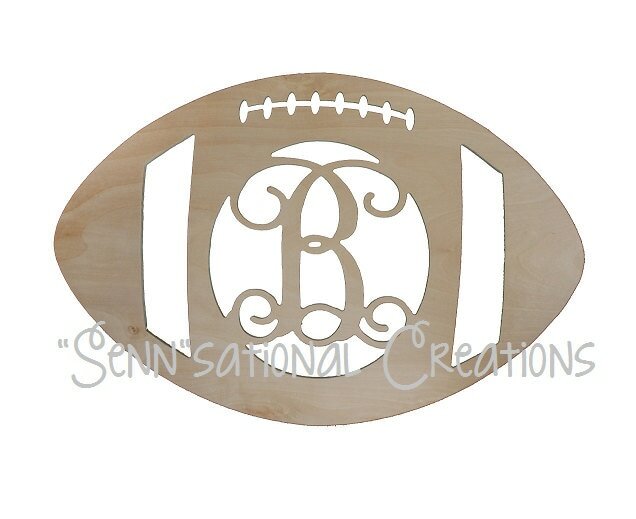 They are great for decorating rooms, hanging on the door and supporting your favorite team. They come with a one letter monogram. If you would like it blank, please let me know as I can accommodate that as well. However, a 3 letter monogram is not an option.